Thank-you for stopping by ! On these pages you'll find information about Bauman's and its products. 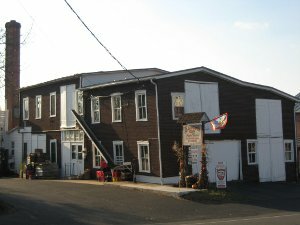 You'll also find ordering information and a little about our history. 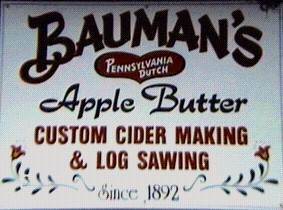 Bauman's offers over 18 different varieties of fruit butters. Fruit Butter is the delicious heart of the harvest, as clean fresh fruit is cooked to a naturally smooth spread. Pectin or thickeners are not added. Nor do we ever use preservatives or additives in our products. Just the natural goodness of fruits and spices.